Nancy Scheer assists clients nationwide with hand-done and computer printing calligraphy. Her studio is in Baltimore, Maryland USA, and her portfolio is available to view in person by appointment only. Nancy is a member of the Washington Calligraphers Guild. Nancy does not offer calligraphy instruction. A few samples from her portfolio can be found on Instagram. Rates can be found above by clicking above Adobe icon (on right), and/or other information can be requested by phone, Facebook or email. All inquiries can be sent a personalized sample if a mailing address is provided. The personalized sample is the hand-done, traditional calligraphic font most popular by previous clientele and now is the only hand-done font style offered. Nancy also offers over 100 computer lettering styles - print, calligraphy and script. If you would like a pre-printed font match, please submit the font name, or email an example. Most computerized fonts can be utlized at no charge or used for your project with a small download fee from designer. 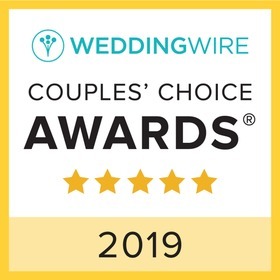 The WeddingWire Couple's Choice Awards recognizes the best local wedding vendors from couples' reviews on the WeddingWire Network who demonstrate quality and service excellence within the wedding industry. Unlike other awards in which winners are selected by the organization, the WeddingWire Couple's Choice Awards are determined by the quality, quantity, recency, and consistency of reviews from over 1.2 million WeddingWire newlyweds. The award recipients represent the top five percent of WeddingWire's vendor community, which consists of over 200,000 wedding professionals throughout the US and Canada. The WeddingWire Bride's Choice Awards recognizes the best local wedding vendors from the WeddingWire Network who demonstrate quality and service excellence within the wedding industry. Unlike other awards in which winners are selected by the organization, the WeddingWire Bride's Choice Awards are determined by the quality, quantity, recency, and consistency of reviews from over 1.2 million WeddingWire newlyweds. The award recipients represent the top five percent of WeddingWire's vendor community, which consists of over 200,000 wedding professionals throughout the US and Canada.